Arguments related to the National Finance Commission (NFC) Award emanating from within Sindh seek to redress “structural imbalances” in the make-up of the State, with experts and activists both claiming that an Award based on multiple criteria is likely to benefit provincial coffers. Some feel that problems arise due to the approach of separating economic factors from other phenomena, such as society and polity. “If the NFC Award is tabled before any talk of provincial autonomy, then any decision taken thereafter would not be a just one. 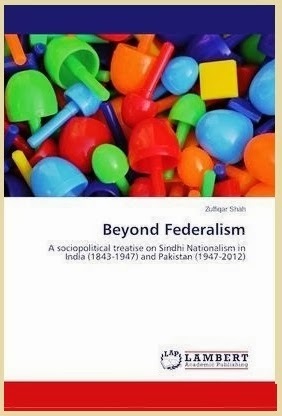 The larger picture is that in Pakistan, the idea of federalism is rather skewed,” South Asian Partnership-Pakistan (SAP-Pk) Provincial Coordinator (Sindh) Zulfiqar Shah told Indus Watch. “Ideally, provinces should keep their income, and then decide for themselves how much they have to give to the Centre — that would be the true spirit of federalism; it requires natural liberty as a prerequisite. This is the basic contradiction in Pakistan in terms of federalism, and in the context of intra-State relations,” Shah said. Such apprehensions about the NFC Award from within the province are understandable: the Award was last adopted in 1997, after a gap of about six years, but proved to be a regressive step as compared to the 1991 Award. In comparison to the 80 per cent allocation for provinces in 1991, the 1997 Award reduced the proportion of the pooled taxes that were to be given to the provinces to a mere 37 per cent. There was also the inclusion of five categories of taxation in the 1997 Award. Income taxes, general sales tax, wealth taxes, capital gains taxes, and custom duties (given under the Federal head in 1997) made their way into the new Award. With Karachi long serving as the country’s political hub, an argument has been made that the returns given to Sindh through the NFC Award are not quite in relation to what the province provides to the Centre. Eminent economist and Collective for Social Science Research (CSSR) Director Dr Asad Sayeed explained that the federal government had a significant wage bill, because a chunk of the expenditure of the federal government is in terms of the number of public servants it employs. “Not only does the federal government have to cater to the bureaucracy, it also has to provide for those employed in the armed services,” he said. “Although there is a quota system in the civil service, but a large number of recruits belong to Punjab. Similar is the case with the Pakistan Army, where about 70 per cent of the force is Punjabi. Given this make-up, Punjab automatically becomes a beneficiary of a strong Centre, as financial flows increase towards Punjab,” Sayeed added. 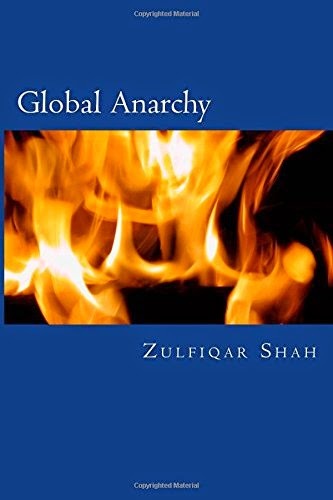 Shah believed, however, that the current set up in Pakistan encouraged this “financial imbalance” and termed the system as the continuation of the colonial viceregal legacy. He said that for a long time, the British maintained a strong Centre and kept their cronies in the provinces happy so that they would stay subservient to them, especially in terms of the financial aspect. Mohammad Ali Jinnah and Jawaharlal Nehru both understood this problem, Shah said. “They agreed, on behalf of the Muslim League and Indian National Congress respectively, that the provinces were not empowered enough, and agreed to decentralise power so that the provinces could get more autonomy,” he said. Politics from 1940 to 1947 in United India thus took place under the Government of India Act-1935, under which all subjects were categorised under three heads: federal list, provincial list, and concurrent list. “Unfortunately, the provincial list was abolished when the Constitution of 1973 was enforced by Zulfikar Ali Bhutto, and only the federal and concurrent list remained. While the majority of subjects were put into the federal list, the rest were placed in the concurrent list; disputes were to be resolved by the Centre. It is interesting to note that while provincial empowerment was a legitimate demand before Partition, what you see today is the enforcement of a Colonial method of federalism,” Shah said. What does the PPP think? Taj Haider, a senior leader of the ruling Pakistan People’s Party (PPP) and member of the Sindh government’s NFC advisory committee, disagreed with Shah’s analysis, instead claiming that provincial autonomy always translates into a bigger expenditure bill. Haider believed that the problems lay in terms of administration and bureaucratic wrangles. “The losses are less where the provinces are well managed; the responsibility of keeping a system of check-and-balance lies with the provincial government,” he said. He also alleged that overt interference into the affairs of the Sindh government, first by Nawaz Sharif and then by General (retd) Pervez Musharraf, meant that development schemes were purposely ‘sabotaged’. “We had planned on developing Keti Bunder; there were plans of developing a port there, a coastal development authority was also being formed. We had even planned to set up a power plant in Keti Bunder that would generate 5,000 megawatts. This project was sabotaged, first by Nawaz and then by Musharraf,” he said. Haider claimed that new governmental authorities were formed to ensure the federation’s involvement and red-tape-ism, in the process of developing Keti Bunder. “It took the government one-and-a-half-years to simply provincialise one of the crucial development authorities,” he said. Shah said that while the NFC Award is particularly concerned with sales and revenue, it also affects many other economic and financial issues. “Consider, for example, the phenomenon of internal migration into Sindh. While there is a significant number of Punjabis who have become naturalised and assimilated in Sindh, and can even be called Punjabi-speaking Sindhis, but the majority of Punjabis send their remittances back to their homes of origin in Punjab. This is just one example of what is actually a multi-dimensional and multi-layered imbalance in terms of financial flows,” he said. Such division of natural resources is accompanied by the fact that NFC does not deal with royalties on a particular resource. Sayeed told Indus Watch that there are a number of obscurities surrounding the issue of taxation. Service tax is returned to the province everywhere in the world, but currently, this practice does not exist in Pakistan. Sayeed explained that both gas and electricity have a certain degree of taxation associated with them, but the problem arises when one realises that taxation is in the realm of the NFC, but profits are not. Corporate taxation, which is a major part of the total taxes collected, also becomes tricky, as corporate agreements are often signed in Karachi, but the corporate entity in question exists across the country. Haider reiterated, however, that the PPP had committed in its manifesto that sales tax would be returned to the provinces. He maintained that the economic integration and inter-dependence of people across the four provinces meant that the current schema of the federal government setting up projects in various areas, and the project yielding profit to that particular province has good sense to it. “Profits on gas, for example, go to the province, and payment is made through direct transfers,” he said. The NFC advisory committee of the Sindh government also met various nationalist parties in Sindh to garner their support for the province’s official suggestions. Bashir Qureshi, leader of his own faction of Jeay Sindh Qaumi Mahaaz, told Indus Watch that support from nationalists is contingent on the fact that the rights of Sindh are protected. “We welcomed them, as is our custom, but also told them in clear terms that we will protest if the rights of Sindh are compromised,” he said. 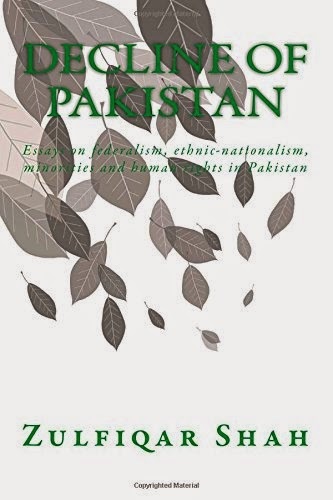 Any talk of provincial autonomy is inevitably tied to the notion of a new State-citizen contract, and eventually, to a disparate view of state craft in Pakistan. Sayeed explained though that such suggestions are not within the ambit of the NFC Award. “The alteration of the federation, or an improvement of federal affairs, is contingent on issues beyond the NFC Award, as the NFC simply deals with the tax revenue generated from the federal government, and the distribution of such things,” Sayeed said. “Changing the structure is beyond the ambit of the NFC Award, and other measures would have to be taken to redress such imbalance. For instance, the Army Act could be altered and the quota system could be modified. Such moves would ultimately result in a situation where the share of Punjab is diluted, given that the final flow in terms of salaries and pensions would also be directed towards other provinces,” he said. Sayeed highlighted the fact that there are other issues that also did not fall strictly under the ambit of the NFC. The demands of the NWFP, for instance, about receiving profits on hydel power plants remain outside the ambit of the NFC. Similar is the case with gas, especially in Sindh, given that the southern province produces about 70 per cent gas. If the Thar coal project comes through, a large proportion of electricity will also be generated from Sindh. These are all critical issues, he said, and will need to be assessed at a policy level. Shah added that lessons needed to be learnt before implementing anything new. The ideal form of federalism, he claimed, existed in Germany, while the most complex form of federalism existed in Nigeria. He argued that revenue and poverty should be considered the major criteria, and should account for 70 per cent of the total fund. “Revenue should account for 30 to 35 per cent, and a similar demarcation should be made for poverty and development. Population should be one of the criteria, but should not account for more than 10 to 15 per cent. About 15 per cent can be given on the basis of territory,” he said. Sayeed’s assessment was that thus far, there seemed to be some advantages on the margins. He said that now that Punjab had been displaying a favourable attitude towards moving away from its previous position, and has even agreed to consider multiple criteria, the smaller provinces might get somewhat more. The critical factor, he explained, remained the bloated expenses of the Federal government. If these expenses stayed the same, Sindh and Balochistan would end up as major losers. If the Federal government were to reduce its share, then all provinces stood to benefit. “The larger issue is that of ownership of resources, and this is bound to become a fiercely contested one in the future,” he concluded. KARACHI (October 20 2005): Pakistan Fisher-folk Forum Manager Programmes Zulfiqar Shah a young research scholar has warned that if enough water was not made available to the Indus Delta the mangrove forests would deplete inviting natural disasters like cyclones. The Indus Delta is on the verge of destruction, the bio-diversity, ecosystem, and agronomy of the delta are threatened from the lack of water flowing dwn from Kotri barrage. The Indus Delta needs at least 35 maf (million acre feet) of water only to survive in present state, Zulfiqar said. 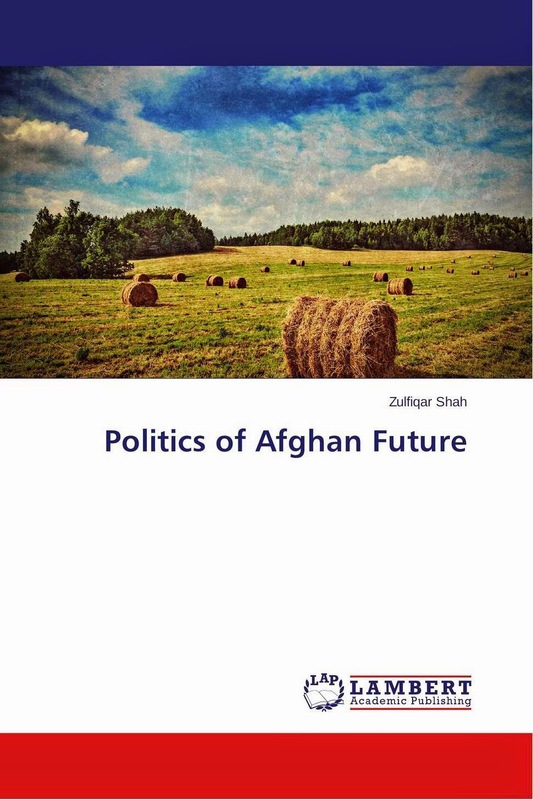 Zulfiqar Shah’s study report on Indus Delta is under publication. After completing his masters in philosophy from Sindh University Jamshoro, Shah took to research on water and development issues. Being a member of International Rivers Network, Society for South Asian Studies (UK) and International Society for Philosophers Sheffield University UK, he holds international repute in his fields. Zulfiqar Shah maintains that when he realised that water was the major issue of Sindh, he decided to work over it and come up with the latest information. Whereas, the research on Indus Delta was simply inspired by the poetry and cultural history of Sindh, he quipped. He revealed that historically the entire area of lower Sindh was a delta. “Actually, there were two major deltas, one was Sarsvati in Run of Kuch, and the second is the Indus Delta. 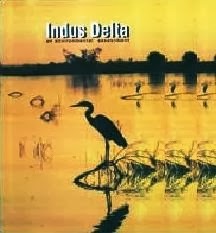 Referring to the degradation of the Indus Delta, he said disasters like earthquake and tsunami had immediate effects, but the Indus Delta was going through a slow and gradual death so it could not attract the public eye. “The degradation started way before the partition of Pakistan and India when mega projects in the Punjab were constructed and the first urbanised port of Sindh Sokhi Bander Island was destroyed. Sokhi Bander existed near the mouth of Indus Delta, close to Malh and Mutni creeks and inhibited by more than 30,000 peoples,” Shah said. “Rice mills existed there. The sanitation system of Sokhi worked better than that of a medium-level city. 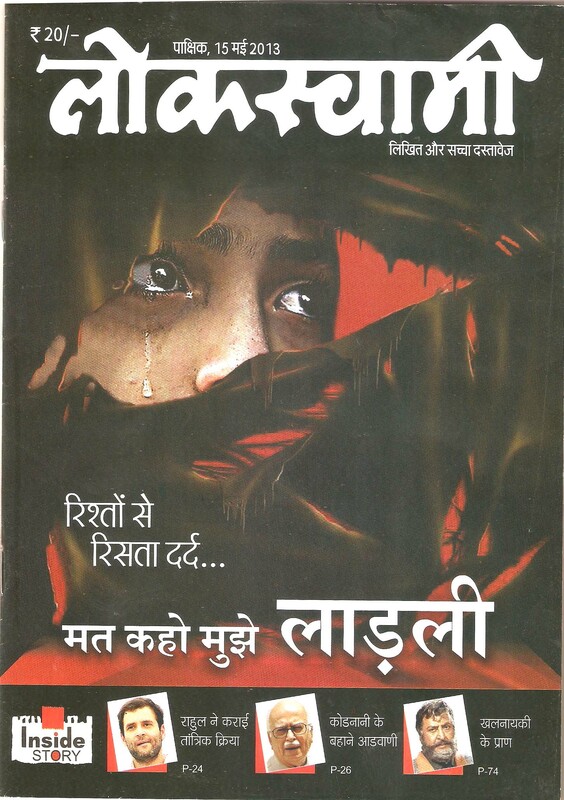 It was the first victim of mega projects till the 1955,” he added. Pointing out towards other aspects of the degradation, he said according to the official figures of the Sindh Board of Revenue some 1.22 million acres of the fertile land went under sea intrusion until 2001. “But, the number has reached to around 2 million acres till the March 2005 in the eight Talukas of two districts of Thatta and Badin,” he said that the data was collected from the local farmers and landowners. He did not agree with the views of one official of the Board of Revenue that the sea intrusion was the cause of the cyclone. “Cyclone could not have such a large impact to change the hydrology of the local ponds and lakes from sweet water to saline,” he stated. “Cyclone could not be blamed for the sea intrusion, cyclones also hit other countries but there is no case of the sea intrusion,” he said. He said that construction of mega projects destroyed the topography of the Indus Delta. “At Sajawal Bridge (Thatta city) the ecology of the Indus River has changed to marine from sweet water composition, although Thatta is 40 kilometres away from the mouth of the Indus,” the self styled scholar claimed. Highlighting the gravity of the situation Zulfiqar said that drinking water available in Thatta has 15000 tds (total dissolved solvents) in it, whereas according to World Bank health standards nearly 5,000 tds is the maximum acceptable level for the human consumption and solvents above this level are disastrous leading to the severe diseases. He lamented that in some areas of Sindh one gallon of irrigation water was being sold for Rs40, which was used for the drinking purpose by the thirsty masses. Discussing the socio economic impacts of the degradation he said that the market value of 2 million acre fertile land facing sea intrusion is worth more than the benefits of the dams. Finally, he said that the Indus Delta should be provided at least 35 maf to 46.3 maf water for sustainability, “rehabilitation is addition to it, which needs more water,” he concluded. KARACHI: More than 120,000 cattle have died owing to various diseases and flooding in rain-affected areas of Sindh, said an academic on Saturday. Professor M Ismail Kumbhar of Agriculture University of Tandojam told The News that 64,000 cattle had died by September 4, which increased to 120,000 after the new spell of rain. Lives of hundreds of thousands more livestock and poultry are at risk in rain-affected areas as water-borne diseases have emerged. Besides, the livestock that is not diseased yet might die of starvation because fodder has been washed away. Poultry farms have also suffered losses of tens of millions of rupees. Similar has been the fate of fish farms, sources told The News. Rains have hit 21 districts of Sindh, but nine of them are highly affected: Badin, Mirpurkhas, Tharparkar, Tando Muhammad Khan, Tando Allahyar, Matiari, Umerkot, Sanghar and Benazirabad. Chairman Pakistan Fisherfolk Forum Muhammad Ali Shah, who is involved in relief work, said that affected people were waiting for proper relief work. More than 500 villages of Badin alone have been affected. “All crops and fisheries have been washed away,” he said. Loss of livestock and poultry in rain-affected areas is likely to result in malnutrition of millions of people in these areas, he said. Head of Institute of Social Movements Pakistan Zulfiqar Shah said affected people were at risk of malnutrition as livestock was likely to be lost. Livestock sector has emerged as a priority sector only recently. In the rural areas, livestock is considered as a secure source of income for small farmers and landless poor. According to the latest Economic Survey of Pakistan livestock is the best hope for poverty alleviation as it can improve the socioeconomic conditions of our rural masses. The livestock accounted for approximately 55.1 percent of the agriculture value added and 11.5 percent to GDP during 2010-11. One official document says that the overall thrust of the government’s livestock policy is to foster “private sector-led development with public sector providing enabling environment through policy interventions and capacity building for improved livestock husbandry practices”. The emphasis will be on improving per unit animal productivity and moving from subsistence to commercial livestock farming in the country to meet the domestic demand and export the surplus. The objective is to exploit the potentials of livestock sector and use it as engine for economic growth and food security for the country leading to rural population empowerment and socioeconomic development. Livestock sector’s prospective role towards rural economic development may be recognised from the fact that 35-40 million are dependent on livestock in the country. Poultry sector generates employment and income for about 1.5 million people. Its contribution in agriculture value addition is 4.8 percent and livestock’s value addition is 9.8 percent. Poultry meat contributes 24.8 percent to the total meat production in the country. The current investment in poultry industry is about Rs200 billion. Poultry sector has shown a robust growth of 8-10 percent annually, which reflects its potential. Poultry Development Policy revolves around improving regulatory framework; disease control and genetic improvement in rural poultry; hi-tech poultry production under environmentally-controlled housing; processing and value addition; improving bio-security; need-based research and development and farmers’ training and education. It envisages poultry sector’s growth of 15-20 percent per annum. The majestic Karunjhar Hills are the first sights that one sees the moment one enters Nagarparkar, at the south-eastern tip of Sindh, along the Indo-Pak border. Comprisong slab upon slab of pink granite, stacked precariously one on top of the other, the Karunjhar Hills are remnants of the days when the “Gulf de Sindhu Sea” (as a 17th century French map described the Arabian Sea) covered the entire area. Active volcanoes or not, Nagarparkar continues to maintain its place as the cultural heart of Thar. Residents of the area proudly tell anyone who will listen that out of the 56 most popular folk songs of Sindh, 45 are in the Thari dialect. The sea eventually receded, leaving Nagar open to the air, with its deserts (Thar), granite hills (Parkar), and rare flora and fauna. Centuries ago when the Saraswati River flowed through the heart of the Thar desert, and joined the “Gulf de Sindhu Sea” at what is now the Runn of Kutch (India), Nagarparkar was an important trade and business hub with several sea ports. Legend has it that the present day Ganga River gets its purifying qualities from the ancient Saraswati River. 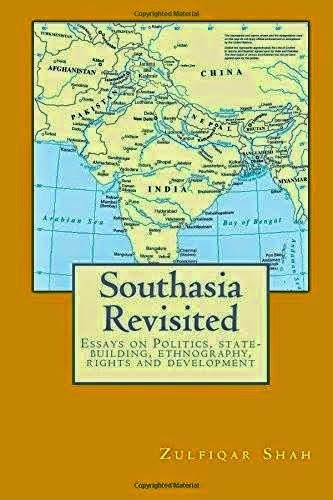 Eventually, on account of seismic activity, many of the tributaries which fed the mighty Saraswati River (including the Sutlej River) changed course, and the Saraswati lost much of its grandeur, became a trickle, and turned more inland, towards the Sindhu (Indus) River. The Runn of Kutch appeared, as the sea started receding further, and many of the trading towns of the region moved further South. Meanwhile, Nagarparkar also became an important cultural point for Jainism and Hinduism. This is evident from the several Jain and Hindu temples that dot the region. Even today, Nagarparkar is said to be one of the two focal points of Hindu pilgrimage (the other point is Hingol, Balochistan), Shah says. Several temples in the area are thousands of years old. Most of them are Jain temples, with some Hindu temples and Ashrams. Almost all of them, however, are in a pathetic condition. Domes are falling apart, statues are gone, art has been disfigured, and despite signboards set up outside these sites by the government, warning against vandalism, one wonders if the powers-that-be expect the gods to step down to earth to take care of these temples themselves — not a single government-appointed guard was visible at any temple, leaving these priceless pieces of history at the mercy of random vandals and vagaries of the weather. Almost every house in the region is said to be haunted. Every person who Indus Watch spoke to either claimed to have encountered the supernatural themselves, or know someone close who has. “My house is haunted too,” Anthony, an employee of the Participatory Village Development Programme in the region, said with a matter-of-fact shrug. “Lots of houses here are haunted. There’s a scientific reason for that,” another resident of the area said. Most residents of the villages around Nagarparkar own their lands — around two to three acres each. Interestingly, however, even though capital (land) is owned privately in the region, labour ßis communal. Entire villages get together to work on a neighbour’s land one day; then everyone (including the person whose land everyone worked on the previous day) gets together and works on another neighbour’s land, and so on. The region goes through an annual drought on account of the severe shortage of water. Every year during the drought, families from the region “lock” their houses by placing prickly bushes against the openings, pick up their cattle and migrate to Amarkot and other nearby regions. There they work as farm labour on the property of larger land owners. Some even get bonded to these land owners via debt. Two to three months before the monsoons, some of the migrants come back to clear up their lands and prepare them for sowing, and as soon as the first droplets of rain grace the region, the rest of the migrants come trudging back, bringing with them the cattle that the rest of the villagers left behind in “greener pastures.” The sight of flocks of bulls, buffaloes and cows blocking the road to Nagarparkar every few kilometres is something that is unique to the region — and even in this region, it is particular to the season of the monsoons. During the droughts, many families obtain loans from local “Banyas” (entrepreneurs) in order to make ends meet, and to have enough money to migrate to other regions. They are expected to pay this loan back after the harvest. “If they get a good harvest, they may be able to pay back their loans. Heaven help them if they can’t, however. The Banyas come swooping in to take over their assets — a goat in lieau of one missed instalment, a bull next, land after that, until the poor family has nothing left,” PVDP Executive Director Dominic Stephen told Indus Watch. Eventually, after losing everything to the Banya, the family in question leaves the area, migrates to other places in Sindh or even as far as lower Punjab, and starts working on the property of larger land owners. Poverty forces many of them to obtain loans from these landowners as well, bonding them to their new employers via debt. Surprising as it may sound, Nagarparkar is extremely fertile, post-monsoon of course — to the extent that no artificial fertilisers, etc, are needed. Food is grown using organic methods, and tastes heavenly. “There can be a large market for this, but it seems like the government is not interested in developing this region,” PVDP Regional Coordinator Nagarparkar Matthew Walji said. Is there a solution to the annual drought? Nagarparkar can be an important hub of religious-tourism, SAP-Pk Provincial Coordinator Sindh Zulfiqar Shah said. “All of these ancient temples need to be restored. This region is important from a religious, as well as an academic (anthropological) perspective,” he said. Is Grameen-style micro-financing an option? Instead of being given money, therefore, villagers should be taught the art of “asset management” in the rural context, Stephen maintains. The Thar Coal Project is another ray of hope for residents of this harsh desert. They have been promised by the powers-that-be that they will be given a priority when it comes to getting jobs at That Coal. The residents, however, remain apprehensive. “Their job is to make promises. They’re going to give jobs to their cronies. Why would they care about us,” one woman said.